Ruth Marcus, a Washington Post writer I usually don’t pay attention to, has a column today on Rick Perry’s “2010 Tea Party-steeped manifesto, ‘Fed Up!,’ [that] makes George Bush look like George McGovern.” It’s pretty frightening stuff. Particularly as Perry leads the GOP pack in the polls and that certain Very Serious Pundits—to paraphrase Paul Krugman—say could be our next president. It just gets worse and worse for the Republican party. During the Reagan years Richard Nixon started to look not so bad. And during the Bush-Cheney regime, one became nostalgic for Reagan. And now with the Tea Partiers, Reagan looks like a centrist and Nixon a liberal. The wacko Michele Bachmann makes even Sarah Palin look moderate (Ryan Lizza’s New Yorker article is a must read, in case anyone missed it). Now, I actually think this is not a bad idea, not all of it at least. The US Constitution has some important flaws, one of which is the lifetime appointment of Supreme Court and federal judges (other flaws include the electoral college and structure of the Senate). To my knowledge the US is the only democracy which does this (e.g. Constitutional Council judges in France are appointed for single nine year terms; Israeli Supreme Court judges have a mandatory retirement age of 70). Given the power of the Supreme Court, its status as an equal branch of government with the executive and legislative, and its effective policy-making role, I can think of no justification for appointing unaccountable justices who serve for decades on end. This seriously undermines both the principle and spirit of representative democracy. It would be eminently reasonable for justices to be appointed to, say, 12-year renewable terms (and with a minimum age of 50, assuring that only those with a long track record in law or politics would qualify), that would be staggered (with nominations coming up every two or three years), and with no possibility of a Senate filibuster. Among other things, this would help remove the political polarization over court nominations, as it would make it difficult to impossible to lock in ideologically slanted majorities for indefinite periods (and also make it nearly impossible for justices like Clarence Thomas—who may end up serving for fifty years—to wreak havoc). It would also offer the possibility of short order reversals of insane Court rulings, such as Citizens United v. Federal Election Commission. Such a change is, of course, not likely to happen but I’m surprised that it hasn’t been proposed in the past (unlike the many calls over the years to abolish the electoral college, which is also a near impossibility). As for Perry’s proposal for a Congressional override of Supreme Court rulings, it would mainly be symbolic, as I doubt it would ever happen (or would have even for Brown v. Board of Education), as Supreme Court rulings are rarely way out of line with the center of gravity of public opinion (or the direction in which public opinion is moving). I don’t have a view on this one. It at least merits debate. The debate was at the Reagan library, and no matter what you think of Ronald Reagan, this crew makes him look good. It is the genius of the Republican Party in recent decades that it continually selects candidates who make the ones who went before appear better. Remember how great George H.W. Bush seemed once we’d lived with his son for a while? 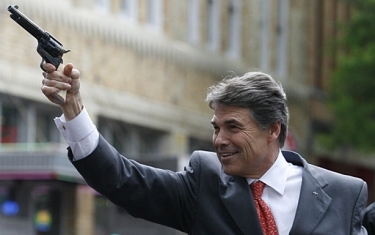 And I have a strong suspicion that whoever the nominee is this time will make us yearn for the magic that was W.
If Rick Perry is elected next year I shudder to think of the crop of Republican candidates for the 2020 election. Michel Rocard has said what needed to be said (for a top-ranked Socialist, at least): Dominique Strauss-Kahn “clearly has a mental illness” that makes it difficult for him to “control his urges” (for the precise wording en français, see the video here). That DSK has a maladie mentale has been the near universal sentiment of the numerous friends and colleagues in town—both women and men—with whom I have discussed the affair since it broke in May. It is also no doubt the prevailing sentiment within the Socialist party, despite the public declarations of its leading figures. In this respect, I differ with my blogging confrère Arthur Goldhammer, who wrote in TNR last week—in an analysis I otherwise entirely agree with—that the French political elite may try to facilitate a DSK comeback, for his brilliance as an economist at least. I’m not so sure. Socialists may be happy that DSK will be coming home but they are manifestly uncomfortable whenever asked about him by reporters. They offer pro forma declarations of support and then quickly change the subject. Socialists are riveted to the polls like everyone else, know that DSK is now radioactive for the majority of public opinion, that the question of what precisely did happen in Suite 2806 cannot be avoided—DSK will certainly decline to answer it if posed but it will remain the two-ton elephant in the room—, and that his legal problems are not over (Nafissatou Diallo’s civil suit, the suit filed by Tristane Banon, and others that will no doubt come). 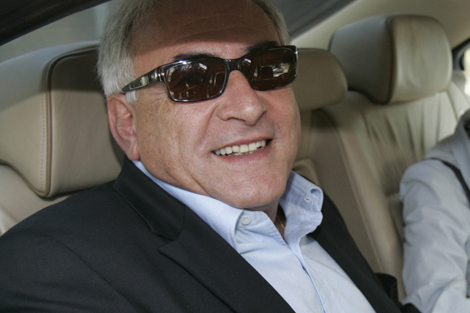 Even DSK’s closest associates in the PS—e.g. Jean-Christophe Cambadélis, Jean-Marie Le Guen—have moved on politically—to Martine Aubry or François Hollande—and don’t sound like they’ll be rolling out the red carpet on the Rue de Solférino when DSK is back in town. So instead of making a comeback he’ll likely try to fade from public view for a long stretch—do the traversée du désert—and until his legal problems have passed. After that, on verra. In addition to his TNR piece Art Goldhammer had a fine op-ed in Le Monde comparing the American and French judicial systems. He also had a salutory skewering on his blog of Pascal Bruckner’s asinine commentary on the dénouement of the DSK affair, as well as a critique of Eric Fassin’s conception of the way the American judicial system works. On DSK’s brilliance as an economist. This is incontestable. It is equally incontestable that he was a first-rate managing director of the IMF. But for the anecdote, I had the occasion to hear him talk about economics in person some five or six years ago, when I dropped by a cours magistral he was giving at Sciences Po, in the Emile Boutmy amphitheater, which was packed. He was slowly pacing back and forth on the stage looking down, holding his chin, and being the savant, explaining comparative advantage and with David Ricardo’s clichéd examples of Portuguese wine trading for English wool. It was Economics 101, which the students had certainly learned in lycée and entirely memorized for the bac. While DSK was lecturing ponderously, the students, being typically French, were yakking among themselves or surfing the Internet on their laptops. DSK, being the typical French teacher, appeared oblivious to the fact that most of the students were not paying attention. It was an amusing spectacle. You had to be there. J’avais déjà 15 ans lorsqu’au détour d’une photo traînant dans un tiroir, j’appris par hasard que j’avais eu deux frères nés bien avant ma naissance, d’une mère qui n’était pas la mienne. Les deux enfants, Hermann et Marcel, nés respectivement en 1928 et 1931, avaient été déportés en 1944 de Transylvanie vers Auschwitz en compagnie de leur mère. Personne n’en revint. Personne n’en parla guère non plus. Jusqu’à ce que je trouve cette photo et demandai quelques explications. Ma mère rosit en admettant qu’elle était au courant de l’épisode puis se détourna. Mon père fut aussi bref, mais il contint son émotion. Et moi je me le tins pour dit. Cinquante ans plus tard, mes parents morts depuis bien longtemps, j’ai déterré cette vieille histoire qui, discrètement, sans m’empêcher de vivre, avait laissé sa trace. J’ai examiné les rares documents que mon père avait laissés, ai scruté et fait agrandir les photos trouvées ici ou là, suis parti en tâtonnant à la recherche de témoins éventuels, en France, aux Etats-Unis, en Israël, en Allemagne, en Belgique, en Roumanie enfin. C’est dans ce dernier pays que je suis revenu en cette fin d’été, à la recherche de documents susceptibles de répondre aux questions soulevées au cours d’une enquête qui touche maintenant à sa fin. Je recherche également d’éventuels témoins mais, compte tenu du temps écoulé, je suis nettement plus sceptique sur mes chances d’y parvenir. C’est cette dernière étape roumaine qui fait le sujet de ce blog. 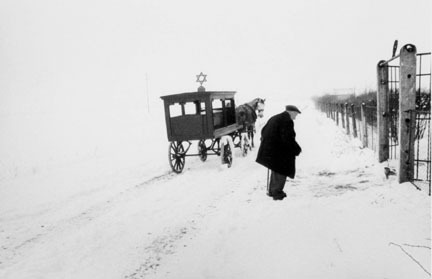 BTW, the above photo, “The Last Jews of Rădăuți,” by Laurence Salzmann, has nothing to do with Marion’s blog (and Rădăuți, while in Romania, is not in Transylvania but in neighboring Bukovina). I find it haunting—I’ve had it up in my study for years—and it is related to the blog in a sense, in that most of Rădăuți’s Jews were deported to a death camp in Transnistria during the war. It isn’t too well known but Romania had the largest Jewish population in Europe after the Soviet Union and Poland, close to half of which was exterminated, mainly by the Romanians themselves, not the Germans (unlike France, where the state enacted anti-Semitic laws and zealously executed German requisition orders to round up Jews for deportation, but didn’t do the actual killing). Romanians were the worst perpetrators of the Holocaust after the Germans, and where responsibility was minimized during the communist era and the history covered up. Good luck to Georges Marion in his research. 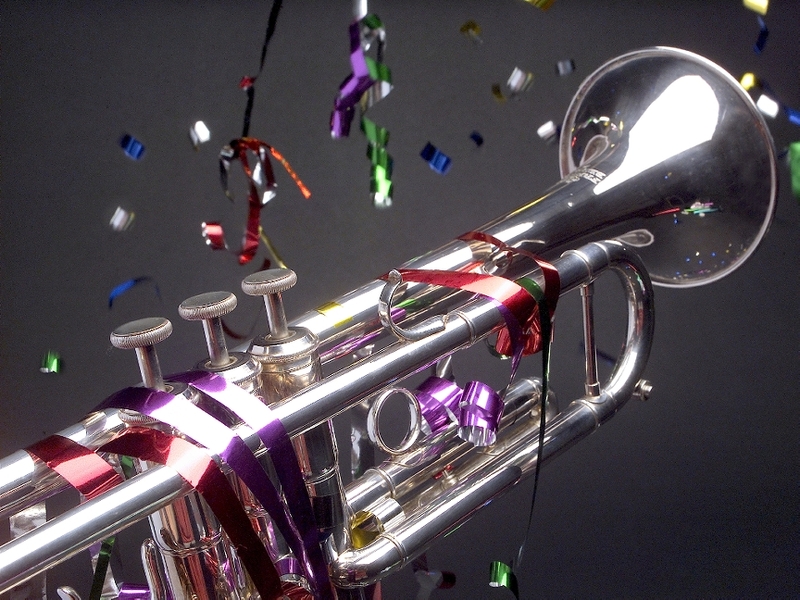 Lloyd Sachs, Chicagoland jazz and film critic extraordinaire (and personal friend), has launched a blog, Jazzespress. Bookmark it. There is one important discussion point that did not appear on either list [of the left and the right, as to what prompted the rioters], however: “fun.” Kicking a window in with your boot, flinging rocks at the police, and escaping with a PlayStation 3 is a blast if you’re 18 and hanging about with other bored mates over the hot summer holiday. Violence is intoxicating, especially if you feel yourself a loser in the game of life and it is directed against those you believe have rigged the rules against you. More and more stories are emerging of bragging rights, of boastful escapades, of the revelry that was had by those involved. One smart rioter posted a picture on Facebook of himself grinning, in front of his looted treasure. “It was good fun … showing the police we can do what we want,” said another, drinking wine at 9:30 in the morning. This type of recreational violence has been noticed elsewhere, especially in the recent Belfast riots, where violence has flared up between rival groups whose members are too young to have experienced the original “Troubles” between Catholics and Protestants. A report by the Institute for Conflict Research found much of the recurrent interface violence in Northern Ireland is a means of entertainment, or more simply of “something to do” — an antidote to the boredom of the summer holidays. Just as in the London student protests earlier this year — and indeed the Arab uprisings — social media allowed people to spread ideas and organize faster than law enforcement could contain them. This does not negate the left’s preoccupation with social justice or the right’s with individual responsibility. But these are misty, distant causes, clinging to the coattails of adrenaline. Neither left nor right will get anywhere unless they seriously ponder what to do with our army of bored, restless young men — for whom the toxic mix of glamorous violence and disdain for authority is an intransigent part of the subculture. It’s an army for whom meaningless, low-paying jobs contrast unfavorably on a daily basis with just-out-of-reach hyperconsumerism, fed by music, movies, and popular culture. A modern, meaningful equivalent of bread and circuses needs to be found. Both left and right can surely agree on that. 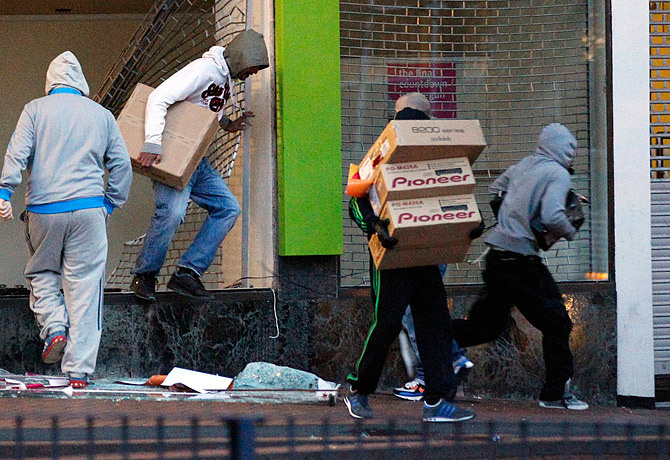 This is certainly an element of riots in France, where the initial spark may be the execrable relations between immigrant-origin youths and the police, resentment over discrimination, exclusion, and all the rest, but where a snowball effect is induced by banlieue gangs outbidding one another and profiting by the momentary absence of state authority to loot, pillage, and just have fun. On the question of state authority, here’s a piece arguing against the crazy notion on the American right that if British police and looted shopkeepers had been armed à l’américaine, the rioters would have been stopped dead in their tracks, both figuratively and literally. But if the British police and citizenry had been armed, the rioters would have of course been too, with the sole result that a lot more people would have been killed. Duh. But on that, the American right doesn’t give a Scheiße. 3rd UPDATE: French social scientist Sophie Body-Gendrot, who knows her subject, weighs in on the “Disorder in world cities” on the OurKingdom website, in which she compares Britain and France. Drew Westen, professor of psychology at Emory University, has an excellent essay on Obama in today’s New York Times. It’s one of the best I’ve read on him. Certain supporters of Hillary Clinton during the 2008 primary campaign—notably Paul Krugman, John Judis, Sean Wilentz, and Sidney Blumenthal—were essentially saying the same things about Obama at the time. Their views mildly irritated me but I regret to say that they were right. It’s all so sad. UPDATE: There have been a few liberal critiques of Drew Westen’s essay the past couple of days. This one, by Jonathan Chait, is the best I’ve seen. He makes good points, though I don’t think his critique invalidates the thrust of Westen’s argument. I’m presently on holiday, so have been profiting from the farniente to catch up on some movies I’ve missed over the years. Among those I’ve seen in the past few days are two by Abbas Kiarostami, ‘Ten’ and ‘Close-Up’, both of which received top reviews when they came out, to the point where they’re even considered chefs d’oeuvres by certain discerning critics. 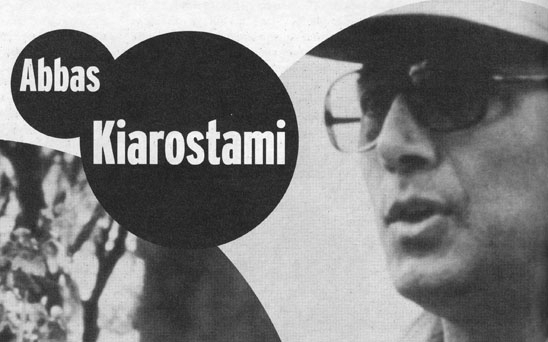 I’ve now seen some six films by Kiarostami, so can definitively pronounce him to be a crashing bore. His films are tedious, self-indulgent, and nombriliste. My assessment may be a minority one, though I’m pleased to see that at least Roger Ebert, who is “unable to grasp the greatness of Abbas Kiarostami,” agrees with me. Movies may be serious and cerebral but should also be minimally entertaining, or at least hold one’s attention. The only film I remember seeing by Kiarostami that did this was ‘The Report’, and that was back in 1979 (then again, I may be confusing this with Dariush Mehrjui’s ‘The Cycle’; I can’t remember for sure). I’ll see another film or two of his, strictly out of cinephile duty, but don’t imagine that it will alter my viewpoint. There are other Iranian directors who are far more interesting, e.g. Jafar Panahi, Bahman Ghobadi, Asghar Farhadi… The latter’s latest film, which I posted on recently, is excellent (and has been a big hit in France). Iranian cinema is one of the most interesting in the world these days. But not thanks to Abbas Kiarostami. Another film I saw the other day was Amos Gitai’s ‘Alila’. It’s the sixth I’ve seen by Gitai, who is sort of the Israeli equivalent of Kiarostami. And like the latter, he is way overrated. The only film he’s done that was incontestably good is ‘Kadosh’. ‘Free Zone’ wasn’t bad, but mainly on account of its three superb actresses, who entirely carried the film. As for the others by Gitai, don’t bother (and avoid ‘Disengagement’ with your life). On the subject of cinema, I had a post a couple of weeks ago on ‘Beginners’, which I loved. It’s a love story and in several combinations. I like a good movie on love and romance, comme tout le monde. I’ve seen several at the cinema in the past few months and that I recommend. One was a small film from Uruguay, ‘Gigante’, about a shy, overweight security guard in a Montevideo supermarket who develops a crush on one of his co-workers, but with whom he has never spoken. As we learn in the course of the film, they both share a passion for heavy metal music. It’s “a small, unpretentious slice of Uruguayan neo-realism,” is touching, and with a nice ending. It received good reviews in both the US and France. 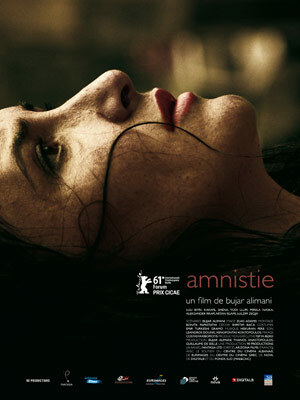 Another in the genre is an equally small film from Albania, ‘Amnistia’, about a woman and man in Tirana whose respective spouses are in prison (for non-violent violations of the law related to the desperate economic situation of ordinary Albanians). They meet and stuff happens, but it ends tragically due to ancestral Balkan traditions. I wasn’t sure about the ending but it’s worth seeing. Here’s one review. 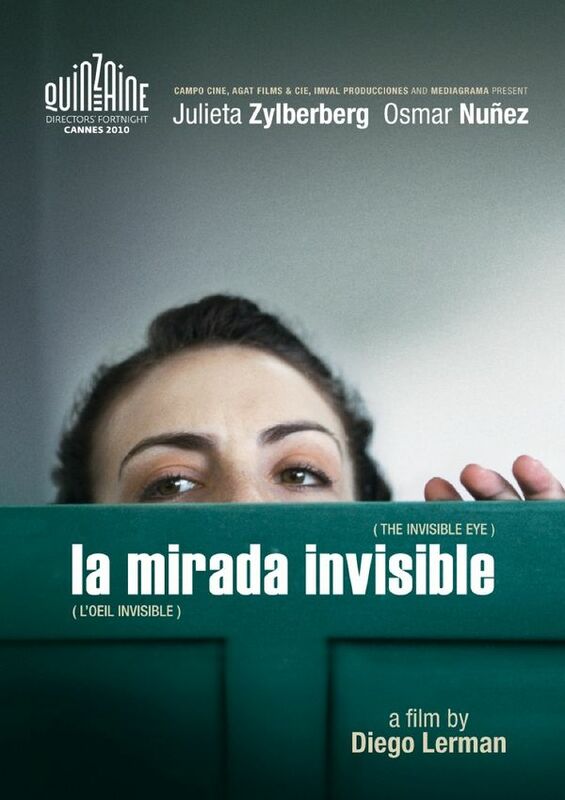 Then there’s this Argentinian film, ‘La mirada invisible’, set in an elite Buenos Aires high school in the early ’80s, during the junta. It’s not so much about love as obsession (sexual), repression (sexual and political), and violence (also sexual and political). As with the above, I can’t say I liked the ending but it’s worth seeing. And the lead actress, Julieta Zylberberg, is excellent. Voilà two reviews. Finally, and for the record, there’s the Israeli film ‘Naomi’, set in Haifa, about a beautiful 28-year old who is married to a homely but famous 60-year old professor. She has a secret lover closer to her age—and far better looking than the husband—, the husband finds out and is consumed by jealousy—despite his fame and the fact that his wife remains committed to him—, and ends up doing something terrible. The theme is not extremely original and the marriage—of her attraction and devotion to him—didn’t make a lot of sense to me but as the movie held my attention throughout—and had an unexpected ending—I’ll recommend it.